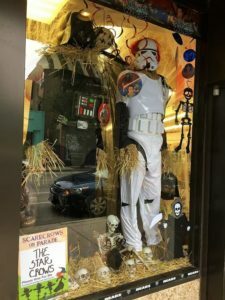 Every year the business owners along Clark Street and Diversey Parkway help to transform the neighborhood into a frighteningly fun shopping district. 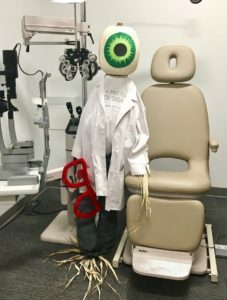 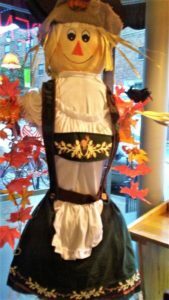 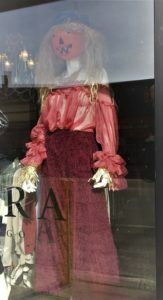 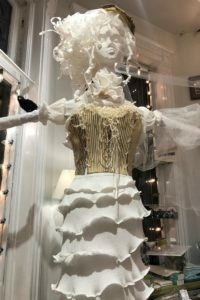 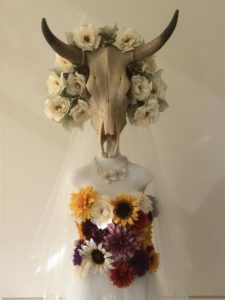 If you had the chance to visit Clark Street in Lincoln Park throughout the month of October you probably noticed spooky, funny, and creative scarecrows in storefront windows – a parade of Halloween spirit along the corridor. 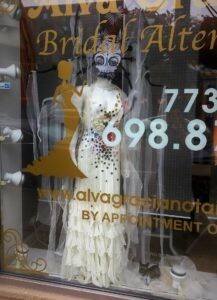 Our scarecrows this year included Star Wars characters, Bridezilla, Elvis Presley, and so many more! 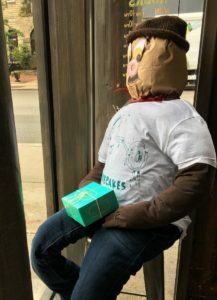 Merchants put their best foot forward to craft some of the most creative Scarecrows on Parade yet! 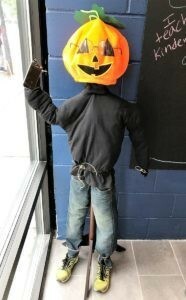 Looking for costume contest winners, festivities from Spooktacular, and photos from the event. 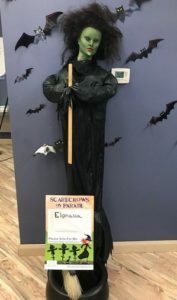 Visit the Spooktacular Highlights page!